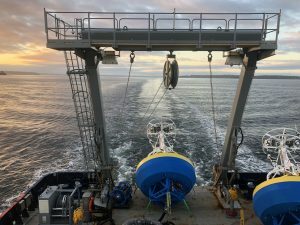 The Fall 2018 Endurance Array cruise on the R/V Sally Ride departed Seattle, Washington on September 16 and completed in Newport, Oregon on September 30. All uncabled moorings were recovered and newly refurbished moorings deployed in their place. 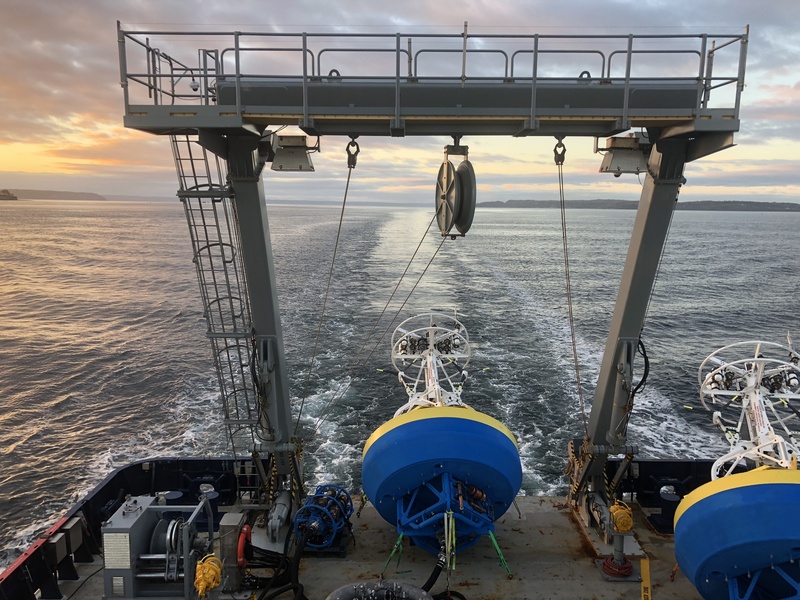 Telemetered science data from this deployment are being ingested and are available through OOI’s Data Portal. Data from instruments deployed in spring 2018 and recovered in Fall 2018 are also available through OOI’s Data Portal. As bottle data are analyzed, they are being posted to alfresco.oceanobservatories.org. The full cruise report is available at this URL.